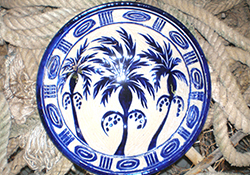 and talk with you about creating a custom work of art ideal for your home or office. 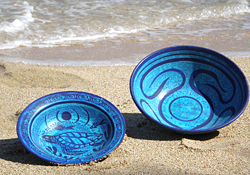 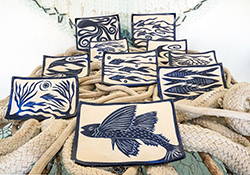 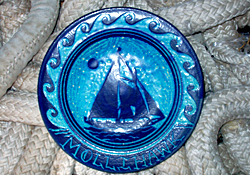 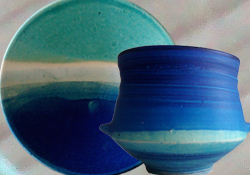 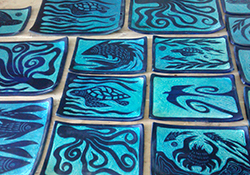 Custom pottery featuring your yacht or home. 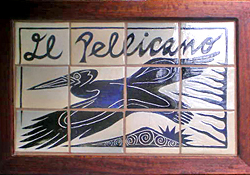 of Sussex after their wedding on 19th May 2018. 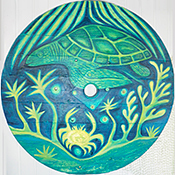 'Sea Shanties' oil on recycled wood. 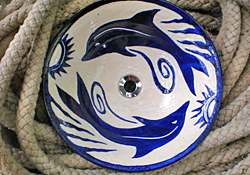 Ceramic sink with carved-slip dolphin design. 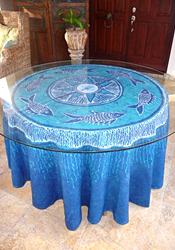 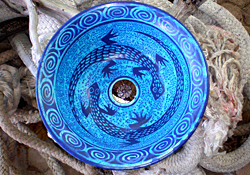 Turquoise sink with wax-resist lizard design. 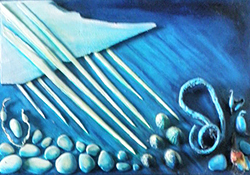 'Fish Flying' oil on board.